Many people like to have wallpaper installed on the same wall as their TV is mounted, which is a great look for your Toronto home. But this begs the question, should you have the wallpaper installed first, or the TV mounted to the wall first? Getting exactly the right position for a flat panel TV installation requires some planning up front. Is the screen the right viewing height from your favourite chair? How many other people join you for movie night, and where will they be sitting? What about a sound bar? Sound bars typically work best mounted below the screen, but this could push the screen height up if there is a mantle. How are all the wires for the HDMI inputs, power and possibly an optical cable run from AV components to the TV? How will they be concealed? 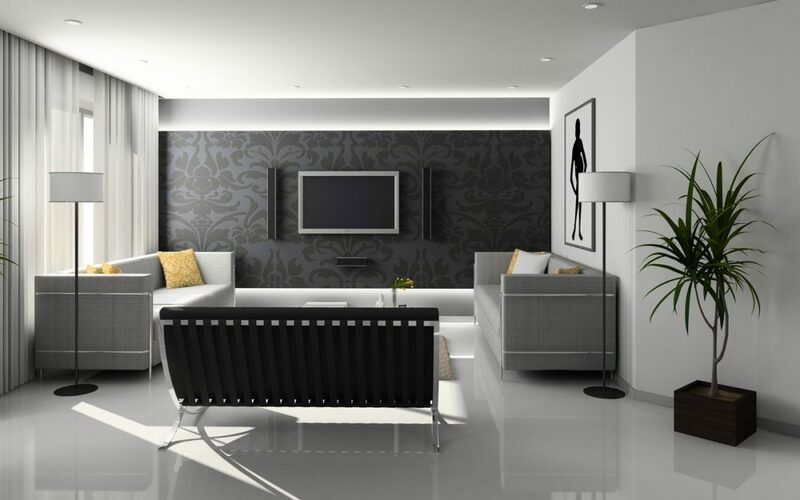 Determine the desired location for the TV, and then decide what sort of wall mount makes most sense. TV wall mounts can be mounted flat against the wall, tilt out a few degrees from the top, or even swivel and tilt. It all depends on your room and seating. Run all the cabling. Often there are several HDMI cables, power and possibly optical cables, and they all need to be concealed. Order pizza and enjoy the movie! At TEC.works, we help solve technology headaches for consumers and small businesses. That might mean reviewing consumer bills for cell phones, Internet, TV packages, or home phones and finding less expensive options that are a better fit for your needs. It might mean installing a home theatre system, or a presentation screen in a retail outlet. It might mean troubleshooting WiFi signal strength in a dead spot at your home or business. We’ll find the right technology products or services for you, and then manage them professionally. Because you’ve got better things to do with your time. So if you’re planning on having a TV and wallpaper on the same wall, why don’t you book a quote? With both us and TEC.works it will be a seamless process! Transform your home with lasting beauty!